A few images follow: first, a snapshot of the front and back pages with a link to download the pdf to print (it includes actual instructions); then, a series of photographs of the plane being folded. But nothing’s so good as the actual object (which flies beautifully). 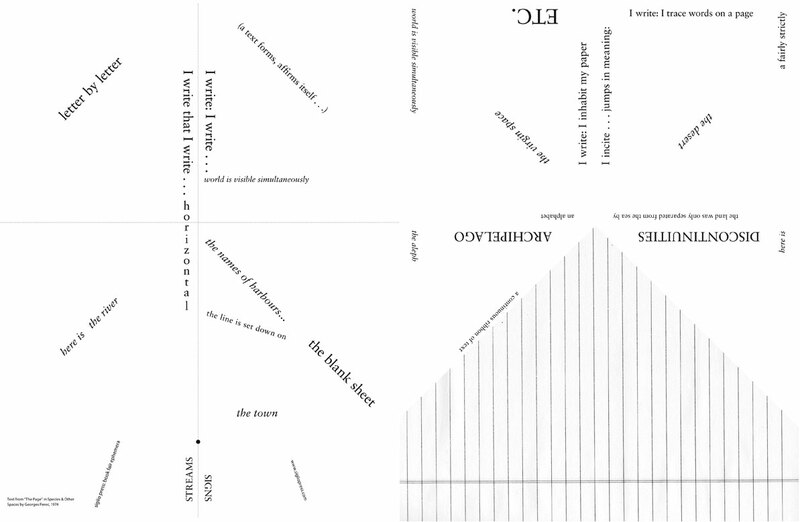 The Perec Paper Plane was originally issued as special bookfair ephemera we gave away at the New York Art Book Fair and at AWP, a creative writing conference. (Siglio intern Nicky Tiso designed it, appropriating text from Georges Perec’s “A Page” published in Species and Other Spaces.) It was such a hit at both places, we thought we’d share it with everyone.